::A&A:: Charmed Frames, a photo by Alliana Petunia on Flickr. Brand new in store now! 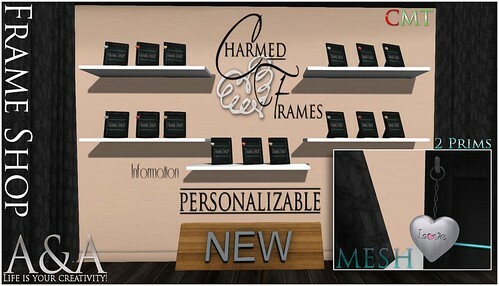 Mesh Charmed Frames! Soo many to choose from! Family, Love, You & Me, Flourish in Silver, Gold and Red. Or you can have your charm custom done to your liking. Best of all, they're only 2 prims each! Stop by and take a look in our Frames section today!